Some kids resemble their mother. Others favor their father. And then there are the babies who look like a whole other species. This happens in the animal kingdom, too! 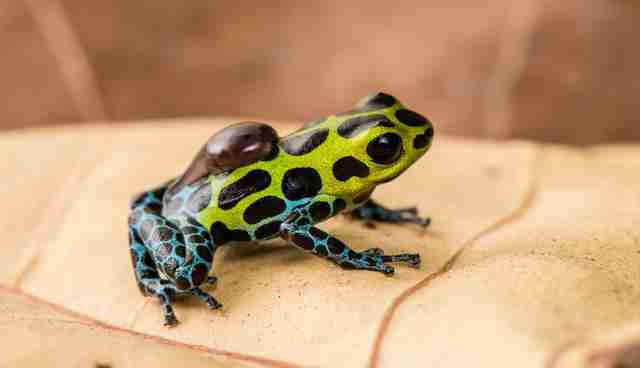 Zimmerman's Poison Frog may look like she's sporting a fanny pack, but that's because these frogs give their limbless tadpoles a piggyback ride to safer locations, ensuring that their young will make it to adulthood. 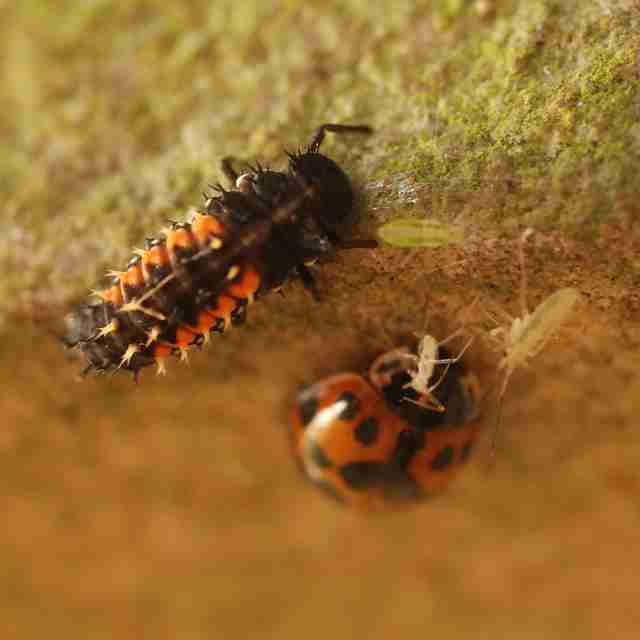 When they grow up, they lose their dull color and gain bright blue and green markings ... and, of course, legs! 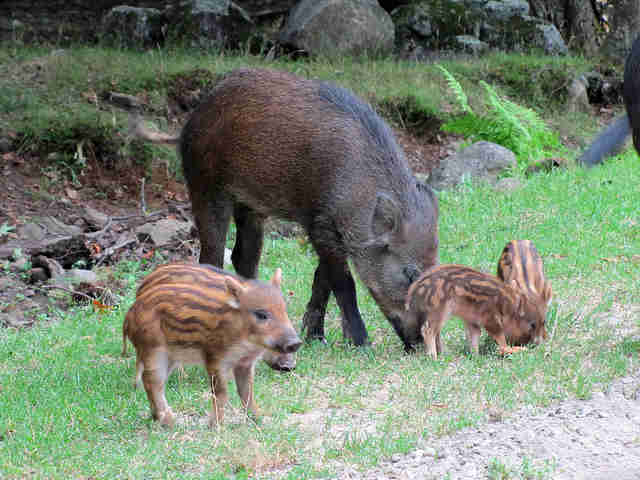 Wild boar piglets are striped and lack the tusks their larger, darker parents have. Boars can give birth several times a year with as many as 12 piglets in a litter. It takes three to six months for cassowary chicks to start resembling their parents. 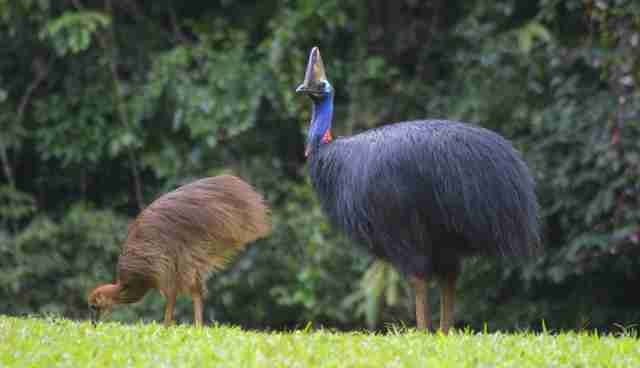 As they mature, their plumage eventually turns dark brown, and they begin to grow the horn that is so pronounced in cassowary adults. 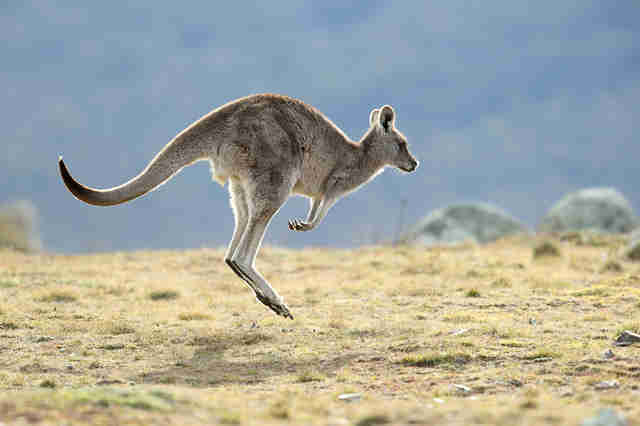 You may be familiar with the long-legged, agile and adorably furry kangaroo. What you may not know is that this marsupial has a small, pink and hairless beginning! 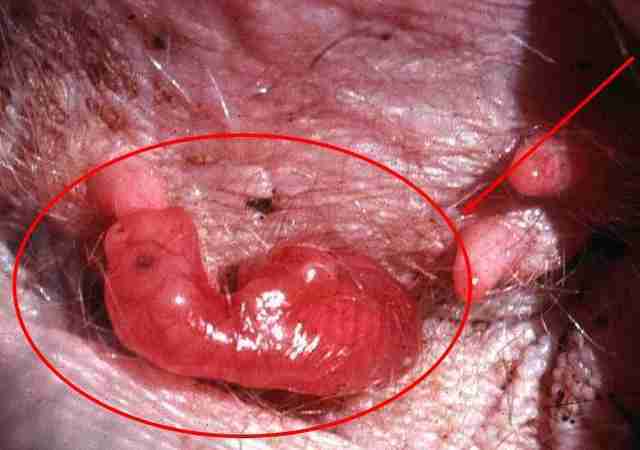 When baby kangaroos, or joeys, are born they are about 1 inch long and the size of a grape. Completely defenseless, these newborns climb into their mother's pouch for safety. It isn't until four months later that joeys leave the pouch to graze on vegetation. Despite all apparent evidence, this monkey has not just kidnapped an orange Teletubby. 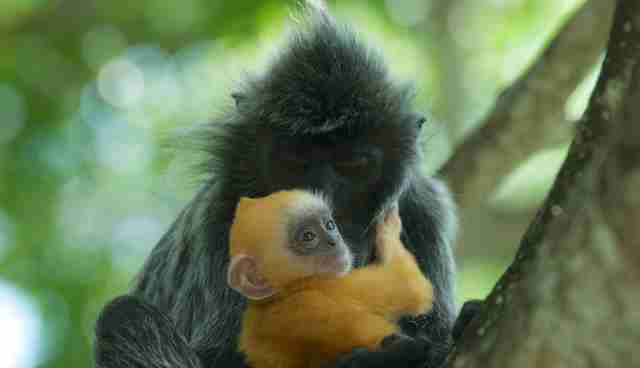 Newborn silvered leaf monkeys are true ginger kids, born with orange fur as well as white hands, feet and faces - coloring they keep for up to five months. Before they grow into their pink plumage and telltale curved bill, flamingos go through a two-year period of having gray or white feathers. 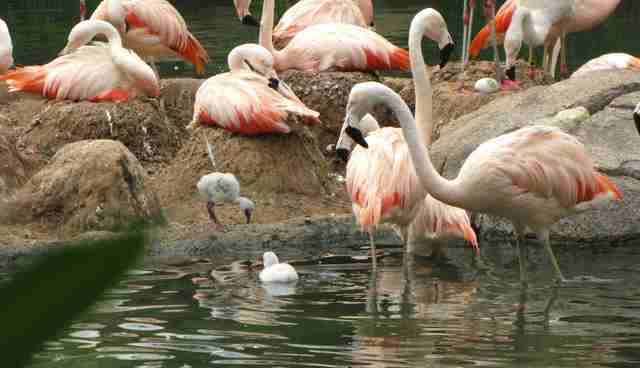 The flamingo uses her beak as a strainer to remove water and mud from the food she gathers in lakes, and it's this diet of shrimp-like organisms that eventually gives these birds their signature pink color. 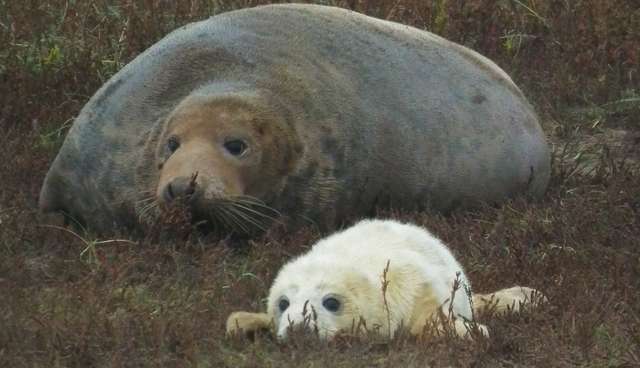 Grey seal pups have a white coat and rather petite figure, much unlike their grey and, ahem, voluptuous parents. This doesn't last for long, however. Seal pups are fed milk from their mothers that is 60-percent fat, and these pups can quadruple in size in the first three weeks after birth! 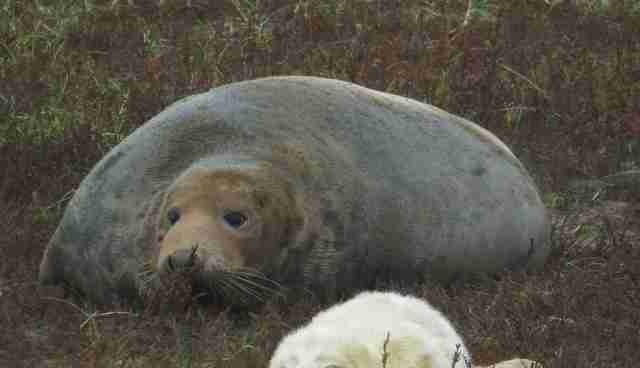 This insulating layer of blubber helps protect the seal from cold. In fact, full-grown seals can dive to a depth of about 300 meters in subarctic waters.